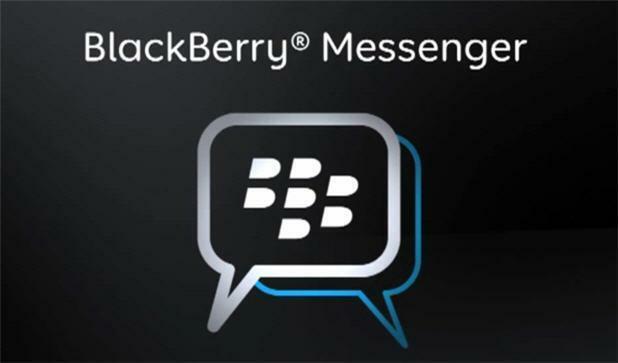 In a bit of news that has 2008 me excited, BlackBerry just announced that its BBM messenger platform will come to both iOS and Android this summer. BlackBerry says it will support iOS 6 and Android 4.0 devices and above initially. CEO Thorstein Heins announced that his company’s plan is to make BlackBerry Messenger the de facto standard in cross-platform messaging. Features like group messaging, screen sharing and Channels will also make their way to both iOS and Android in the future. “It’s time to bring BBM to a greater audience, we are making the BBM platform more powerful than ever. We want to offer this powerful mobile service to everyone,” said Heins. While BlackBerry messenger has long been one of the highlights of the BlackBerry experience, with a dwindling user base and plenty of competition, who will this really appeal to? If this was 2008, it would be amazing, awesome and outstanding…but in 2013, it begs the question if it’s not too little too late. Heins made the announcement on stage at the BlackBerry Live event in Orlando, Florida. I am so looking forward to never, ever using this. Brilliant Idea couldn’t hurt many people world wide are used to using it . Hard sell for iOS users that can already transparently use iMessage on their iPhones, iPads, and Macs. On the iPhone, it will automatically send the message using iMessage instead of SMS. It’s a great benefit to have it show up on their Mac as well. On Android…Google will be releasing their own unified platform on Wednesday. So BlackBerry, nice try, but you slept when you should have been working. It’s too late. The real upside here is cross-platform. iMessage only works with IOS devices. BBM is a little behind the times though, there are quite a few apps that already work cross-platform like this. I agree. Looking only at the US and the small market share that BlackBerry has, I wonder how this is relevant. What’s going to make an Android user tell his friend that is an iPhone user “hey, download the BBM app so that we can use it together”? I definitely don’t see friends that are iPhone users switching to BBM. Maybe the BBM stalkers (the ones who fixate on the ‘D’ changing to an ‘R’) miss their fix on iPhones though. None of the cross-platform systems do this as well as iMessage. My brother does not even realize he is using iMessage on his iPhone. He thinks he is sending me a SMS. But iMessage is so well integrated, that it works without his need to start up another client. I have been thinking about this. The only real cross-platform of any software is Amazon. I don’t buy music from Apple because I want to be use it instantly on my Android devices and my iPhone, iPad, etc. Amazon does cross-platform better than any other software developer (including Google). Amazon should introduce a cross-platform messaging system that tightly integrates with any mobile device. You couldn’t send messages on your iPhone 5? Then you shouldn’t be using smartphones. iMessage only works with other iOS devices. Text messages can be sent from an iOS device to any other type of mobile device. With an android device it doesn’t tell you if the message was delivered, read, etc. The only option you can activate is for it to send you a delivered message. What’s App is a good cross platform app and I think BBM will be another good option available across platforms. Don’t forget to mention that iMessage also talks to the built in Messaging app in Mac OS X. So while I can use my iPhone sitting on my desk, I can also send a message using a real keyboard on my iMac, MacBook Pro, Air, etc. That’s a huge bonus. Conversations also show up on ALL of my Apple products, so I can continue the conversation wherever I am. While other cross-platform apps do this as well, it’s already installed on every Apple product. I don’t need to install it. It works the instant I enter my Apple ID (which you do when you setup your device or computer). That’s why it is so simple and a model for other cross-platform messaging systems. I would expect Google to offer a similar system Wednesday and Apple to integrate iMessage and FaceTime at WWDC. The iPhone Message app (also iPad) will automatically default to iMessage when sending a message to another user that is also an apple user (you have their AppleID in the contacts). If you send a message to another user that is not on an Apple platform, it will default to sending SMS/MMS. In other words, it can send to an Android phone just fine. In cases of the iMessage platform going down (or you have no data connection), iMessage will prompt you to send a standard SMS. You can also manually select to send a SMS/MMS by selecting a contact’s phone number instead of their AppleID. In the future if you have problems using an Apple product, please walk in to one of their stores. I have never heard of an Apple customer being refused help. It’s kind of Apple’s hallmark and why their retail stores do so well in a bad economy. What an opportunity they missed out on… BBM is so trustworthy and reliable (and professional sounding) compared to some of the cross-platform apps out today, and the iOS/Android divide was easy to see coming. But, too late. I always liked BBM so this should be interesting. Are you still using the BB Z10? I got rid of it at week #3. I just couldn’t take it anymore. :( There aren’t many phones I’ve hated in my life but this was definitely one of them. Bought the Nexus 4 (which I SWORE I would never ever buy) because I was waiting for more news on the Sony Xperia Z. Finally couldn’t wait anymore and a week later bought the international version. LOVE it!!! is this something that is unlike sending a text message? It’s basically instant messaging with more perks. See 21stNow’s post above mine. Deacon, BBM works by giving other BBM users your PIN. This is advantageous because there may be people that you want to communicate with, but you don’t want to give them your phone number. It’s also easy to block users if you no longer wish to chat with them. BBM offers more than text messaging. It offers delivered/read status notifications, as well as group notes, schedules and calendars. On BlackBerry 10 devices, it also offers video chatting and screen sharing, features that I would imagine would carryover to Android phones and iOS. Or if you don’t have an international SMS, MMS, Video messaging plan then this is perfect. Why don’t we all just switch to RCS…. Hmmm cool but why now, I mean if they had did this last year maybe it would have made a difference. This looks like a wait and see type of situation. One more option couldn’t hurt. Plus this is “freeeeeee” (like the mattress). there are obvious advantages in using software that already has a large existing user base. And I would rather pay a dollar a year and have a no ads, reliable and popular messaging platform than get something for “free” that will soon start sending targeted ads. But I don’t have to worry about that with my Z10. And charges after the first year, so this isn’t a good solution for those of us looking for a free service. Unless you happen to know of one. if you can pay for cell service and you want a messaging platform then you can pay a dollar a year for the messaging features it offers (including international messaging, pictures, video, caching etc). That $1 gives you unlimited usage, cross platform access and no advertisements. Most people spend more than that for ordinary SMS nowadays. I see your side, it’s just a $1. Which, if I’m comparing paid app services, is quite a freakin’ bargin. I don’t like to paying for a service that I can get for free elsewhere, and offer the same services in Android. I have ad blockers, so targeted ads aren’t going to bother me. Since +’s are free as well. This might have been a very good plan if executed a couple years back, when there was still good momentum going for BBM. Now Blackberry will be competing with other platforms that will have just as much, if not much more momentum- whatsapp, Google Hangouts, etc. Count me firmly in the “too little, too late” camp. Anyone think it is ironic that T-Mobile already has a messaging platform (BobSled) that even does VOIP and yet they don’t promote it? I think only Alanis Morissette will think that’s ironic. nothing ironic about it – if the 4th largest cellular provider starts a messaging platform that even most of its own customers know nothing about, chances are it will not be a massive success. In the US this will take a while to catch on. However, for contacting friends and loved ones overseas, this is HUGE!!!. One of the few reasons i have a BB is to use BBM with family overseas — particularly Africa and the mid-east (where cheap blackberry’s are prevalent and most people purchase an unlimited BBM plan). This is huge for Blackberry. The only downside about BBM was the fact that you can only use it on BB device. This takes the usage of BBM to a whole new level. True, but I wonder how they plan to make any money by doing this… Obviously they must think this will increase hardware sales someday, but unless they start making better hardware and develop a vastly better app ecosystem, that’s not going to happen. Nice of them to open up such a good service to more people though. I agree that it’s too little too late. Now that Apple has iMessage, I wouldn’t switch to another messaging platform. I would say around 90% of my contacts are using iPhones and iMessage works so well because some of them don’t even realize they’re using it. It’s just built into the OS. It’s also pretty nice that I can view and continue iMessage conversations on my Macbook as well. Sorry BBM. “In a bit of news that has 2008 me excited…” — well put. They could’ve been the mobile device messaging standard if they would’ve done it back then. Now, what’s so special about it that will make everybody switch from whatever they’re using now? Might be popular with the many business users who have ditched BB for Android/iOS I suppose. But then BB is just giving away a pretty cool service for free…. Great, now all I have to do is track down somebody that still used a blackberry…..